Welcome to Ups of Downs! Here you’ll find the latest pictures, news about the group, and upcoming events! Visit us regularly to see what we’re up to. Our ultimate goal is to realize the complete acceptance and inclusion of individuals with Down Syndrome as to aspects of family and community life. We want to provide educational, charitable, recreational and social events for individuals with Down Syndrome and their family and friends. Ups of Downs Family Support Group shared a post. Ups of Downs Family Support Group shared a Ups of Downs Family Support Group. 2018 Ups of Downs Buddy Walk! Thank you to everyone for attending and supporting us. We had a super fun time, had lots of things to do, and got to spend time with many family and friends that help us change lives for those who have changed our lives! Ups of Downs Family Support Group added 94 new photos — with Rhonda Grant and Mona Nordgren Drolc. Have you heard? Live music from Phil Baker will be at the Buddy Walk! Come rock the sounds with Ups of Downs! 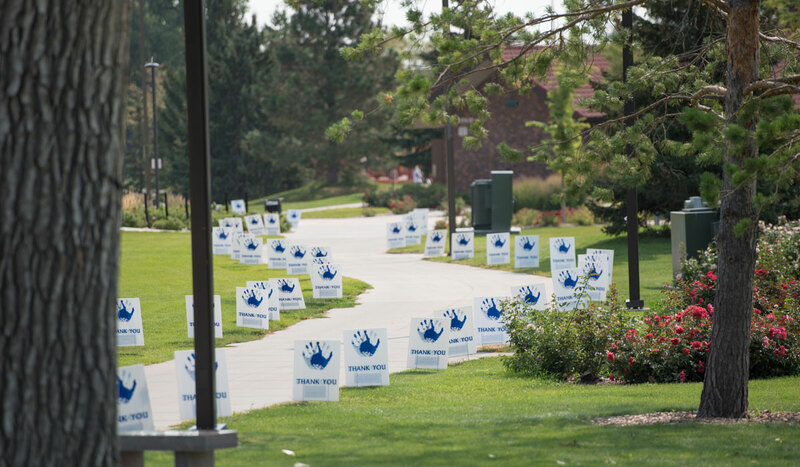 The Central and Stevens Highschool Drumlines will kick-off the Buddy Walk on Saturday ! 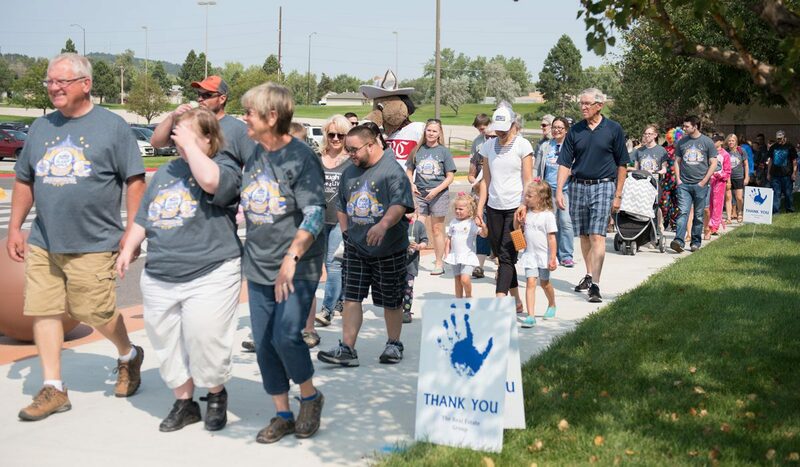 We can't wait to see you Saturday September 15th for the Ups of Downs Buddy Walk at the Rushmore Plaza Civic Center Don Barnett Arena! Your committee volunteers and dedicated board members are hard at work preparing for the big day. What does your family enjoy most about the event? First time at the Buddy Walk? Join us for the walk then enjoy bingo, bounce houses, a petting zoo and much, much more! 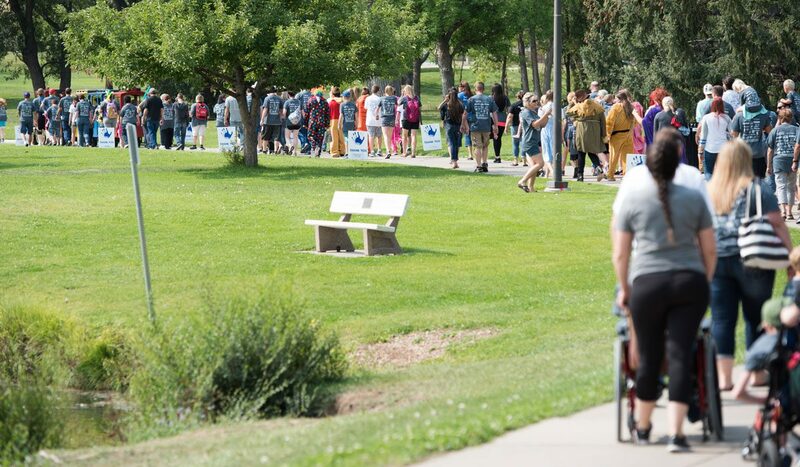 Pre-Registration for the Buddy Walk is available! Comment below if interested and we will message you the information! Ups of Downs Family Support Group updated their cover photo. Come join us for supper at Pizza Ranch! Please bring your family and friends. We would love to share the evening with you. Like pizza, chicken, or yummy cheese bread? Then we have a place for you, come join us for supper Monday, January 22nd from 5-8pm at Pizza Ranch by Sam's Club. Ups of Downs Family Support Group shared an album. Ups of Downs Family Support Group added 28 new photos. Ups of Downs Family Support Group added 131 new photos — at Rushmore Plaza Civic Center. Please share this with all your family and friends, we want to reach a goal of 100 shares and prizes for the person who is our 50th and our 100th. Please help us reach our goal! 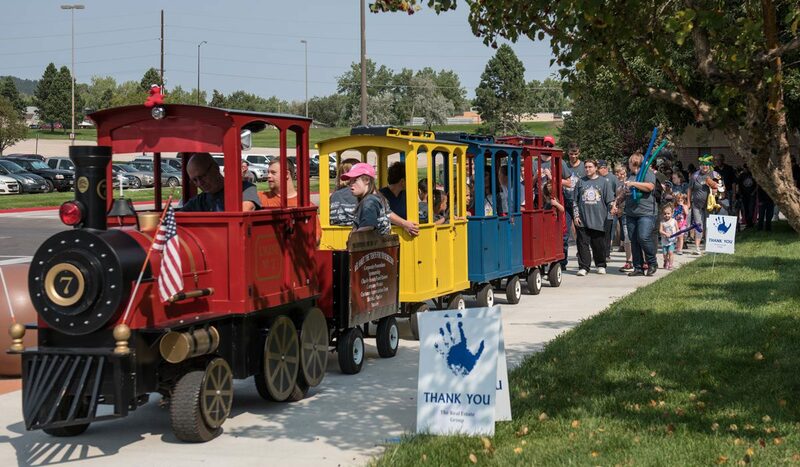 2016 Ups of Downs Buddy Walk Family Carnival & Dance! 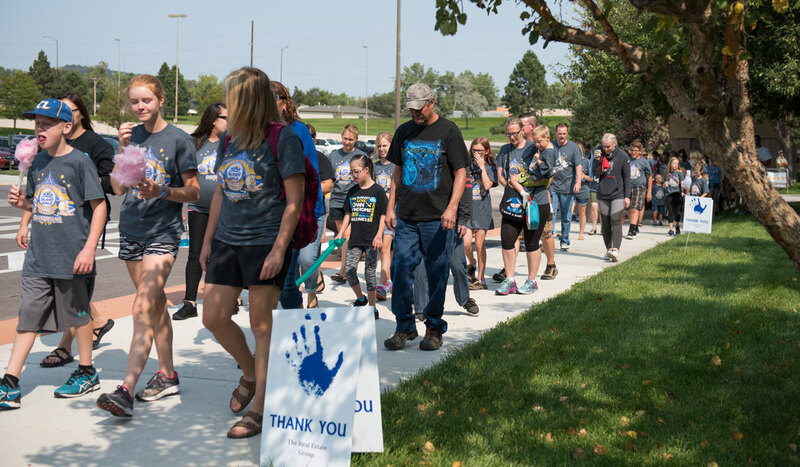 The Buddy Walk committee has been working hard on all the details for the Buddy Walk that is on Saturday, September 10th from 2-6 at the Civic Center, Rushmore Hall South. You are invited to join us for this fun filled day of family activities, the walk, and our dance! We are also having our famous raffle!! Ups of Downs Family Support Group shared a Page. This is just perfect for Christmas time, when you buy, think of us as it will support us! Ups of Downs Family Support Group shared a photo. Ups of Downs Family Support Group added 90 new photos — at Rushmore Plaza Civic Center. Ups of Downs Family Support Group updated their profile picture. Ups of Downs Family Support Group shared a link. June 25&comma; 2015&comma; at NDSC Convention in Phoenix - "Alzheimer’s Disease and Down Syndrome – What parents and caregivers should know"
Hello everyone, I want to take a minute to spread the word about the Unified Relay for Special Olympics. The world games is in LA this year. Torches have made it from Greece and are on their way through ALL 50 states and YES SD is one of them! The torch will be coming through on June 22nd (afternoon) and June 23rd morning. Do you want to have a chance to carry the torch? If so, here are a few details. 2. How much? $100 for ONE person, or $250 for a team up to 15 people! This money CAN be raised via Social media, or however you want to raise it. Also,if you raise $1500 you get to KEEP the torch that you carried! Lifescape Summer Camps in Rapid City! Scholarships are available for all camps. Call 605-791-7400 to register! Located at 7110 Jordan Drive, close to Catron and Mount Rushmore Road. Session 1: June 8-10, 15-17, 22-24; Session 2: July 6-8, 13-15, 21-22, 29; Cost: $350/Session, $600/Both Sessions; For K-5 kids who are struggling with any aspect of reading or spelling – or preschool-age kids who are at-risk. Sessions are 45 minutes long. Thursdays: June 11, 18, 25, July 2; Younger kids (ages 4-7): 8:30-9:30 am, Older kids (ages 8-12): 10-11:00 am; Cost: $40/session (including a mat); Kids of all ability levels, and their parents, are encouraged to attend. Mondays, Tuesdays, & Thursdays: Session 1: June 1-25, Session 2: July 6-30; 8 am-Noon; Cost: $300; Improve your child’s articulation skills – targeted at intelligibility and use of difficult sounds. Sessions are 30 minutes long. July 13-23; Monday through Thursday; 8:30-10 am; Cost: $165; Small group for kids entering 1st/2nd grade to advance handwriting skills – using the Handwriting Without Tears curriculum. Eight total sessions are each 1.5 hours long. Ups of Downs Family Support Group shared a video. Hey there! Strider is GIVING away bikes! Check out this link to try to win for you or your organization! Saturday September 13th 10-2 at the Rushmore Plaza Civic Center Rushmore Hall(same place as last year). $15 for single --- $50 for family of 5.